The Crimean administration insists that they should produce medicines themselves, rather than import them from elsewhere, Head of the Crimean administration Sergey Aksyonov told a news conference. The Crimean administration has been conducting negotiations with the Indian investors on the construction of a pharmaceutical plant in Crimea, Head of the Crimean administration Sergey Aksyonov told a news conference on Tuesday which summed up the results achieved in the outgoing year. "We have reached an agreement with the Indian side that we will jointly build a pharmaceutical plant. After a memorandum on the project was signed a delegation from India decided to visit Crimea," Aksyonov said. "We insist that we should produce medicines ourselves, rather than import them from elsewhere," he said. A preliminary agreement on the construction of a pharmaceutical plant in Crimea was reached during a recent visit of a Crimean delegation to India. 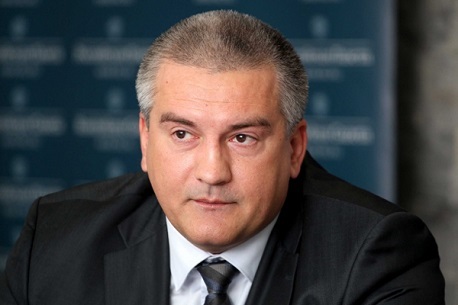 "The negotiations will be continued during a visit of the Indian delegation to Crimea due soon," Aksyonov said. "A Memorandum of understanding with the organization of Indian-Crimean Partnership was signed during a recent visit by the head of the Crimean administration to India; during the visit an agreement was reached that a group of Indian businessmen and journalists would visit Crimea in the near future," Russia's presidential envoy to Crimea Georgy Mamedov told TASS earlier. "Crimea as a member of the Russian Federation has been looking for partners for the realization of investment projects on its territory, exchange of opinions and creation of a convenient business environment," the presidential envoy said then.